I'm heartsick. And I feel like my voice has been too quiet in this world. And I need to get loud. Trump did not create this racism. Racism has always been there, maybe hanging somewhat in the dark, but mostly being around and subtly accepted for the fact that it. Has. NEVER. Stopped. People all around us have had to face the effects of racism every day of their lives. I'm white. I have a white husband and white kids. I treat all whom I meet with the same amount of respect and care. I teach my children to do the same. This is not enough. It's not. Obviously, for the very fact that ... racism still exists. Along with bigotry, sexism, etc. It's all still here. BUT. Trump, through his appointed role as a leader, has given the go-ahead to the people who are part of the hate groups through his rhetoric, his tweets, his actions. He has given the idea a foothold outside of the murky under-layers of our society and it has come to the attention of everyone. Even those who have been complacent and thinking, "Well, things are getting better." And now everyone has the responsibility to stand up and say, "NO, this is not okay. This has to change." 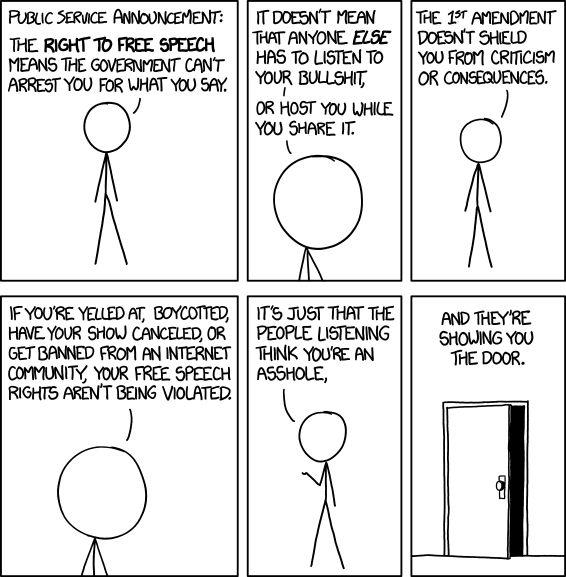 But ... free speech .... Yeah, that. Well, in the US speech is protected. But guess what-- the words don't have to be tolerated. You can say whatever you want. People have the right to respond and react. Free speech does not mean free violence or free murder or free physical attacking. It doesn't. It's kind of like driving. I might have the right of way at the turn, but I can't just take it. If something or someone is blocking me, I can't just go and ram through it and justify my actions by saying the right was mine. Because there's this thing called society. And in order for a society to work, integrity and clear judgement need to prevail. We need to have rules and laws to provide guidance to the people who lack the empathy, understanding, and comprehension of basic humanity. We can make this as simple a dialogue as we want or as difficult. But I won't stand for hate. I won't stand for violence. I won't stand for a man who is supposed to be a leader, but clearly feels no draw to protect the people who need protecting. The most vulnerable, the ones whose lives could be at stake simply for being who they are. It's not okay. It's not just. It's not what I stand for as an American.